Colour blocking is still in. The silver offering of Mango's fetish sandals. My personal fave of the bunch. Love the chunky metallic heel. Ankle strapped sandals are huge. 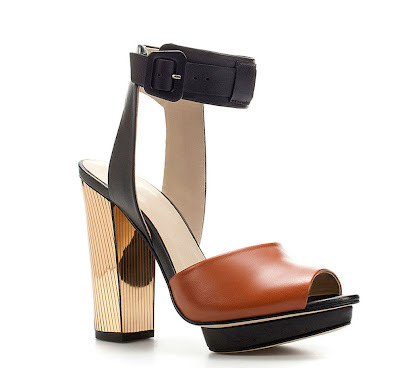 Whether with a chunky or stiletto heel they scream summer chic.